This one bedroom suite is the perfect paradise hale. 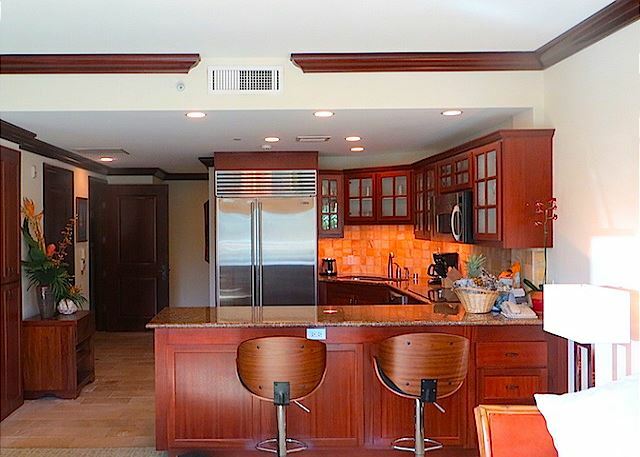 A gourmet kitchen has everything you need to create amazing meals, while the private lanai provides a quintessential space to enjoy the pool view and ocean breezes. 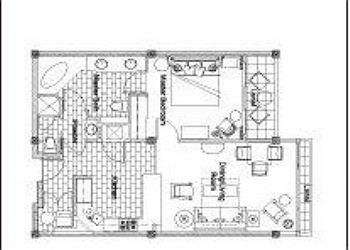 Comfortably accommodating 4 people, find peace and perfection with all this suite has to offer! 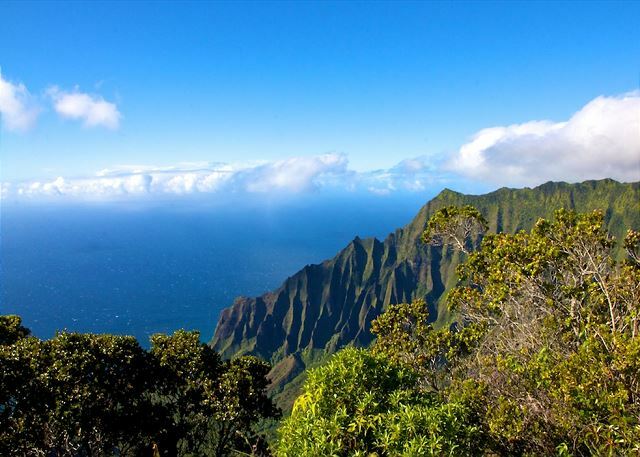 My wife and I had a great time while visiting the beautiful island of Kauai. The condo was just as amazing as described in the listing. A little disappointed in the lanai being so small and the view of the ocean was tough. The resort was clean and the pool is fun. The condo was in great condition and had everything we needed and some. Service was quick and clear. Great location for traveling the island. A very comfortable, well maintained, well furnished rental. Had everything we needed. 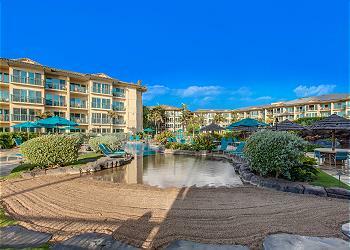 Resort is located on the beach, although this unit was facing the pool, which we knew before renting it. Entire property very well maintained. Reservation process extremely easy, agent extremely helpful. Concierge contacted us immediately after reservation and thereafter to provide help with activities. Convenient location near the airport and halfway between north shore and south shore. Grocery shopping across the street. Excellent restaurant (Oasis)on site and another (Hukilau)just down the road. Traffic very heavy on the road but manageable. Would recommend it to anyone. This place was AWESOME! Everything worked, it was big & looked amazing, it was very clean, and it was "centrally" located with lots of good food and stores nearby. My wife also wanted me to point out that it had a "Kid Hot Tub". This was basically a large sand bottom hot tub but set to 98 degrees. She is preggo so this is the only hot tub shes been able to use in months. We used it every night! I highly recommend this place. While it was on the East side we drove around a lot, but since you'll need a rental car to get around anyways that was not an issue at all. Of a construction site. Pool will be nicer when construction is complete. This unit was perfect for our family! Clean, spacious, and comfortable. We loved the dishwasher (split drawer style so great for small loads) and having laundry in the unit. Awesome California King bed too! The location of unit A301 is perfect, close to parking as well as the pool and just around the corner from the stairs and elevator. The pool area was fantastic and extremely well kept, you could see staff out there every day cleaning and tidying :) Would stay here again for sure! 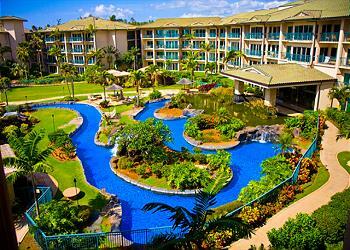 Great resort, personally loved the location in Kapa'a vs. Poipu or Princeville. Being able to walk the Kapa'a trail & walk to countless restaurants was a big benefit to us. And not fancy hotel restaurants (no interest in those), but spots locals eat at. Resort grounds were exceptional, pool was great fun, and Oasis the on-site restaurant had mostly great food, super friendly staff, and the location is pretty tough to beat right off the beach. Also located right next to pool - you can walk right in w/ swim gear and order food/drinks for poolside. Would definitely recommend, and if visiting Kauai would probably stay here again even though we typically like to try new places on each vacation. Our first time to Kauai and we chose a good location and resort. Any requests we had were promptly dealt with. Sean and Patrick were very helpful. Oasis restaurant at the resort was very very good.. We ate there twice for breakfast, once for lunch and dinner 3 times. Food was very good, well priced and the service was good. A beautiful setting beach side that people came up from Poipu to enjoy. The Bull Shed next door was also very good. Other restaurants in the area were hit and miss. The kitchen was well stocked which made breakfast, packing picnic lunches and cooking the occasional dinner very easy. Safeway right across the street was very convenient. This resort is amazing, and this room was perfect. It overlooked the ocean to the left and to the resort pool/ spa right in front of us. There are 2 balconies, one in the bedroom and one in the living room. This room will sleep 3 no problem. we are already planning our next trip and since we loved this room so much, hopefully we can stay in this one again! The property was excellent. We stayed in building A. 2 units. Both were great. Kitchen and the house is fully equipped/furnished. Everything was very comfortable. Only crib would be the ladles were heavy and large sized. So if you're cooking for a smaller family, take your own. Pots and pans were sufficient. Washer/Dryer was useful every single day. The private beach behind the resort was awesome and so close.. The pool was the best highlight for the kids. They loved the slides. Everything was clean... sufficient towels given each day. Chat concierge was awesome... from the time we booked to the time we checked out, I was constantly chatting with someone from the property who would answer all my Qs, and provided necessary help. Will definitely recommend to friends and others. This place was awesome! The full-size kitchen was the best. We used it everyday! It was just a girls trip and it was very well lit and safe. There is a grocery store right across the street. The condo was conveniently located for everything we wanted to do. 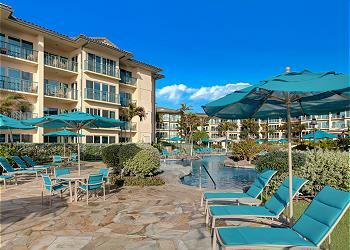 We loved our stay at the Waipouli Bearch Resort A301. 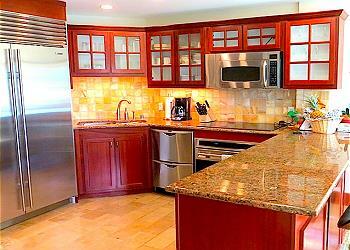 Beautiful condo with excellent kitchen. Two Bathrooms! What a treat. Enjoyed reading a book on the lanai overlooking the pools. We ate at the Oasis Restaurant, and it was perfect. Watched sunrise every morning after just a few steps to the sand. 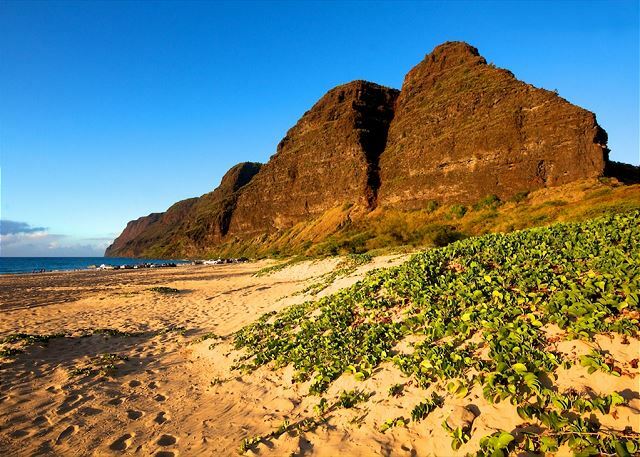 Took my girlfriend to Kauai for the first time and stayed at Waipouli Beach Resort. The room was immaculate, comfortable bed, and amazing view of the beach. The full refrigerator and in-room washer/dryer and dishwasher made our week-long stay extremely convenient. I've stayed at other resort around Kauai and this was by far the best experience we've had both location and price-wise. I look forward to coming back in the coming years and would highly recommend it to friends and family alike. This was our first visit to Hawaii. We really enjoyed our visit. The property is centrally located with easy access to both sides of the island. The resort is great for families. It us a quick easy drive from the airport. Swim resort for the kiddoes. The condo is well appointed, and very clean. Teh apartment has great bath facilities, and overall grounds were beautiful. However, beach is not swim friendly. You must drive to get to the nice ones. Also, picture is misleading as there is no real view to ocean. Just a peekaboo view when you step outside. I was hoping for a ocean view myself. The pool for kids cant be beat. If its a kids resort youre looking for, then this is a good spot for them. Also, try for an apartment with a view of the ocean. We loved it here! Pool and beach were great! Central location and shopping across the street was great! Room was very nice! Pro's: the resort itself is very nice in every respect - condo itself was very nice, fitness center was great, and the pool area is off the hook. Staying on this part of the island makes it more efficient to get up north or south. Con's: WiFi was VERY slow, beach in front of the condo complex isn't good for swimming due to the tradewinds. 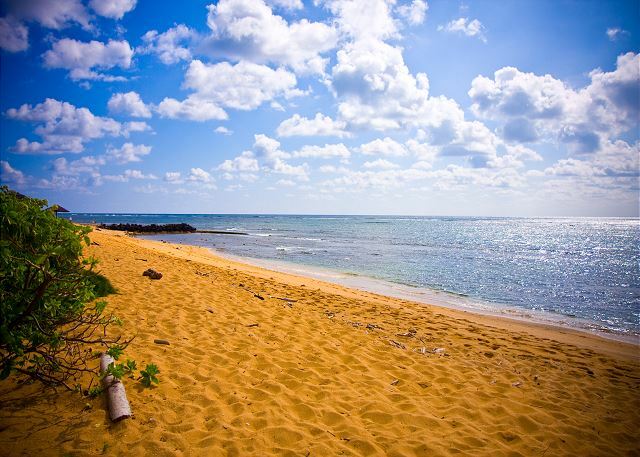 There is a nice beach that is good for swimming / snorkeling only a short 5 minute drive away. We rented Unit A-301 and were so happy we did. The condo was awesome .......So well appointed and so comfortable ! The pool was nice and big, no problem finding lounge chairs ( although we were there in May ) The Restaurant was very good too! We loved our dinner and drinks outside in the gorgeous moonlight on the water ! We walked into the little town one day and shopped a bit then had fun at the big Mexican restaurant ( you cant miss it ) We also Loved the restaurant named Hukilau ( Dinner only, best seafood we had in Hawaii ) and a cool place we found called Lava Lava Beach Club Overlooks the water,its all open garage doors with couches and firepits outside super cute and the best Coconut shrimp !! We went for lunch after paddle boarding so after the shrimp and Mai tais we were ready for a nap at our beautiful , comfortable condo !! Unit A301 was exactly as shown! It was a top of the line accommodation with top of the line furnishings -- great location -- easy check-in -- beautiful resort -- what can I say? A special Mahalo to Sean and Josh! Customer Service was excellent and prompt! I would DEINITELY stay here again and highly recommend booking through ! Mahalo!!! P.S. The WiFI really WAS FAST! My husband and I just returned from a fabulous week on Kauai. Our last four nights were spent in a condo at Waupouli Beach Resort. 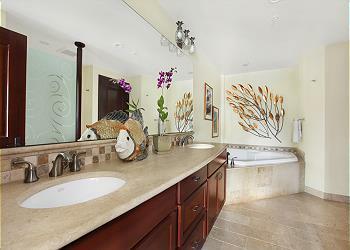 The condo is beautifully appointed and so comfortable. Felt like being at home. A301 is in a great location overlooking the pool with a view of the ocean peaking through the palm trees. The management company was great and very responsive when we had trouble getting the television up and running. A really terrific staff and so helpful. Would highly recommend! We had a peaceful and wonderful stay at this s resort. The home was beautiful, well care for and immaculate. The concierge very helpful. The restaurant there is casually romantic, and the pool very inviting. 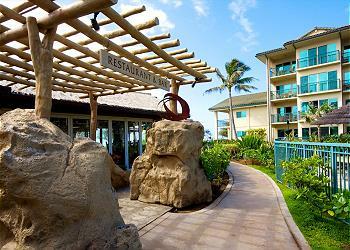 This is our third stay at Waipouli and we will back again. Love it there. Our room, the balcony views of the pool and of the ocean were wonderful. The 1 bedroom condo was spacious and the kitchen was incredible. We loved the breakfast bar as well. There also was a washer and dryer inside. The management company y was accessible and completely accommodating. The resort was beautiful. We even took advantage of the workout room and family barbecue grill. The only thing that wasn't very usable (broken leg) was the pull out sofa bed, but if you dont need it, sofa worked fine. The condo was great, everything was as it stated in the advertisement. The property management company was very responsive to our questions and replied very quickly if we ever needed anything. They contacted me on our last day and asked how it was and asked if there was anything they could change that would make it better. The only thing I mentioned was the pull out sofa, which is pretty old, uncomfortable, and one or two pulls away from the frame snapping. Hopefully, they replace it. A new/better sofa bed will make the condo excellent. I would not hesitate to stay there again. This is the second time we have stayed at this resort. We love it here. The location is central on the Island so you can go to the North or East shores easily. 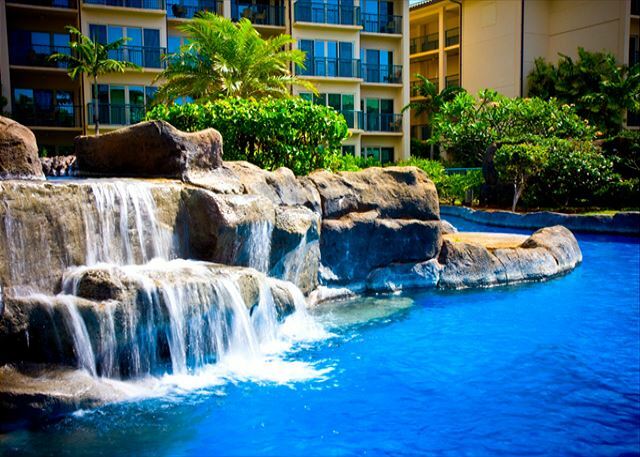 WE love the A/C, pool and other amenities that the Waipouli Resort has to offer and it is directly across the street from a grocery store. 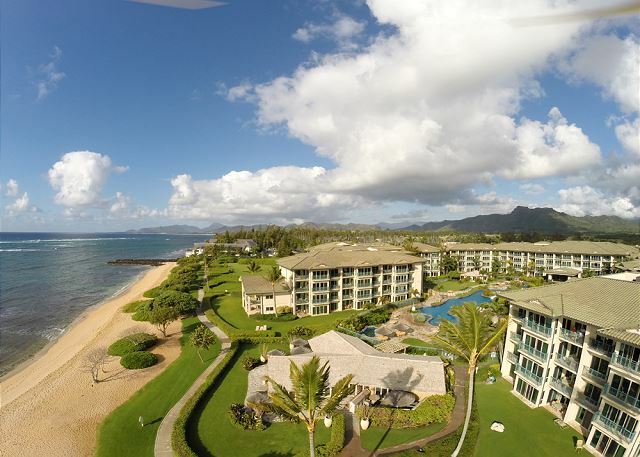 This is the first time that we rented from Kauai Exclusive Management. WE did not have any problems that we needed to contact them for but they were very professional and helpful leading up to our visit. I would stay here again! Really enjoyed the property and the unit. Looks brand new, and the location in Kapaa was prefect as it was central to most everything on the island. The room location was great with a view of the entire pool and was very well maintained. It's a very family friendly place, pretty quiet but enough to do to keep you busy. Would definitely stay here again.